Established in 2012, Drake Casino features a desktop instant play casino and mobile casinos optimized for Android, Apple mobile devices, and Windows Phone. With over 175+ games, Drake Casino features BetSoft Gaming games and a small group of proprietary games that make up a progressive jackpot network. Drake Casino desktop can be enjoyed on Windows and Apple computers. 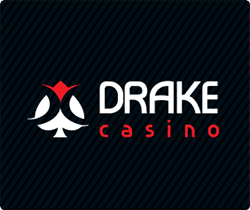 Drake customers depositing customers begin with a $5,000 Welcome Package that features 100% deposit bonus on their first three deposits and their unique lineup of weekly bonuses and promotions coupled with years of experience supporting casino customers set it apart from its competitors. Launched in 2013, Gossip Slots has industry first player-to-player chat rooms where players interact with each other and Gossip Chat Hosts for hot gossip and exclusive promotions. Like Drake, Gossip features over 175+ games in its desktop instant play casino and mobile casinos which have been optimized for Android, Apple mobile devices, and Windows Phone. 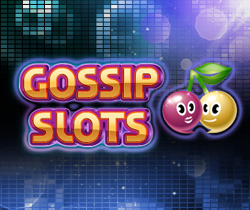 Gossip Slots is also powered by BetSoft Gaming games and the same Cash Grab Slots series featured at Drake. The desktop casinos can be played on Windows and Apple computers. Gossip Slots is making a splash with its introductory 400% Welcome Bonus up to $1,000 and 25 Free Spins on their Game of the Month. The same team that supports Drake support Gossip, so your customers will be in the best of hands.